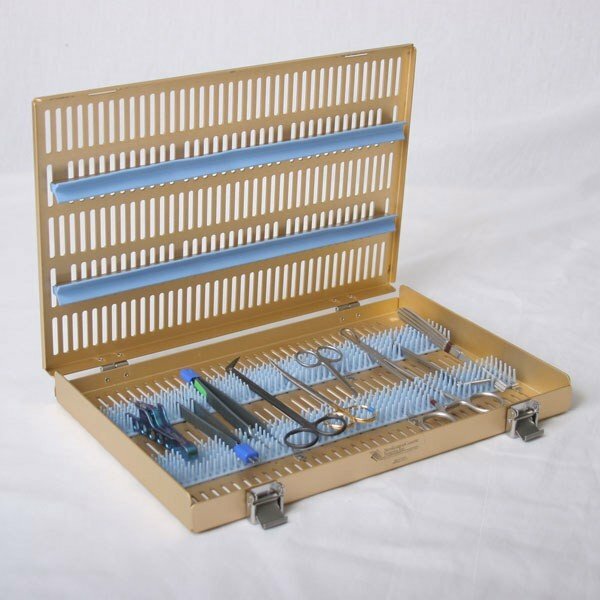 Microsurgical Case Instrument Sterilization Tray - single level, with pin mat. External Size: 10.5" x 15" x 1.5". With pin mat / retainers.